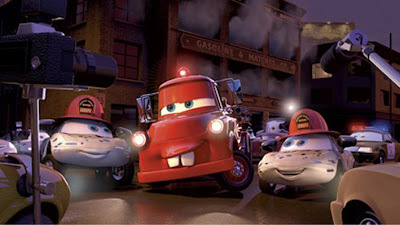 Cars Toon animated short series had its premiere last night on Toon Disney, and the animation looks absolutely great . 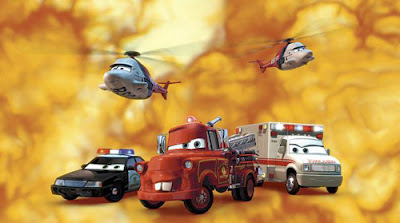 The first episode of these "Mater's Tall Tales" was called "Rescue Squad Mater". 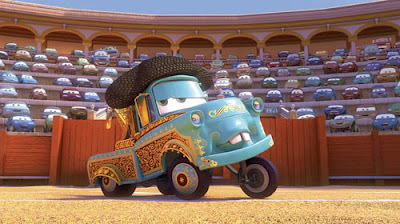 And the last of these first three animated short is called "El Materdor", in which Mater is a "bulldozer" matador in Spain. These three animated shorts - each of them last approximately 3 minutes - were directed by John Lasseter, who was joined by co-directors Victor Navone and Rob Gibbs. You can watch a video interview of them HERE. As you saw, the quality of these shorts is "Pixar quality", and let's hope they will be available soon for download on the ITunes Store! I'll let you know! So these aren't available on any dvd? r these availble in itunes store? my son loves the movie he has 5 dvds he got for gifts,he has all the toys that we have found that we can,a toy box well he has two,you name it might have it he loves them all,so well there ever be a dvd to Maters tall tales,and what about a 2nd movie,i think you could make ot work the ending to the first was kinda left open! thank about it! 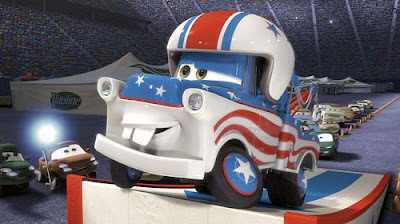 so what about the one where mater is in the race in toykoand he makes to the top of the tower?